With the Achilles S1284 Xigmatek presents a towercooler which should have an enormeous cooling potential. Four heatpipes with eight millimeters in diameter are directly built into the ground plate through the "Direct Touch" process. 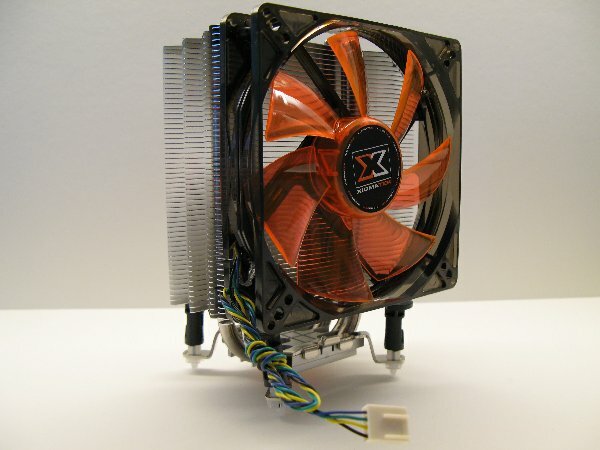 You'll also find a big and silent 120 mm fan to transfer the heat to the environment. The still young company XIGMATEK which was founded in 2005 is focussed on manufacturing producs for the "IT thermal industry". What they actually produce are for example affordable coolers which can cope with the best on the market. On the following pages you'll have the opportunity to read what Xigmateks Achilles S1284 is capable of.